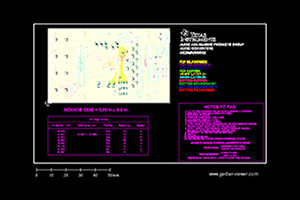 The TIDA-00810 reference design accurately measures analog inputs performance and includes chip diagnostics to help identify power systems failures early by using a highly accuracy AC voltage and current measurement analog front end (AFE) and a four-channel, 24-bit simultaneously-sampling differential input Delta-Sigma ADC for measurement over wide dynamic range. The ADC is configured to measure 0-5 V unipolar. The inputs are scaled to ADC measurement range using a fixed gain amplifier with 2.5 V DC output level shift. 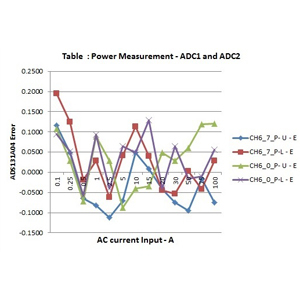 The AFE can be used to measure output of a current transformer, potential divider with analog isolation and Rogowski active integrator. 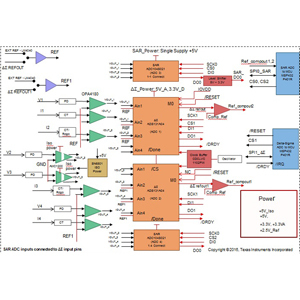 The AFE uses 10-Bit low resolution successive approximation register (SAR) ADC in parallel with a 24 bit ∑-∆ ADC for ADS131A04 diagnostics.